"Nepal is there to change you, not for you to change it. Lose yourself in its essence. Make your footprints with care and awareness of the precarious balance around you. Nepal is not only a place on the map, but an experience, a way of life from which we all can learn." Stephen Bezruchka - A Guide to Trekking in Nepal. 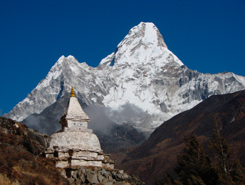 Discover Nepal has been operating treks and tours in Nepal and India for over 20 years now. We are a highly experienced team with over 25 years of combined experience in operating outdoor tours in South Asia. Our focus however is trekking in Nepal. You may pick one of our fixed itineraries, or contact us if our itineraries do not meet your travel requirements. At Discover Nepal, we take care of the details so you don't have to! Whether traveling as part of a group, family, or as an individual, we oversee all your travel plans including planning and operating your trek, arranging city tours, safari and white-water rafting trip, as well as in-country transportation and accommodations. We guarantee great service and high standards of quality, health and safety. While we offer some trips in India, Bhutan, and Tibet, our focus is trekking in Nepal. Trekking in Nepal is the most fascinating personal, spiritual, and physical journey one is likely to take. 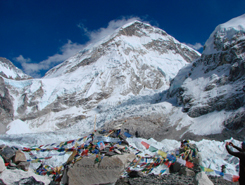 Find out for yourself on our most popular Everest Base Camp Trek. 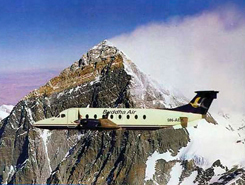 Feel the spirit of this high country which continues to evolve in spectacular fashion. Or walk the trails of the world-class Annapurna Circuit Trek and Annapurna Base Camp Trek in the Annapurna Region. We also offer remote area treks in Dolpo and to Lo Manthang in Upper Mustang where the deeply rooted culture of this great region is known as the Hidden Kingdom. These fixed itineraries have been made available due to popular demand. These itineraries are well packed to ensure the most of your vacation time. Discover Nepal provides a variety of weblinks related to Nepal, India, Bhutan, and Tibet. These have been researched and were determined to be useful information available on the internet. However, this is by no means a definitive list of what is out there. Please keep in mind these links will direct to other websites on the Internet and are not part of Discover Nepal. If you have any difficulty connecting to these websites and/or have suggestions of other links to include, please notify us so that we can remove the dead links and/or add new ones. If you feel one or more of these useful links should be removed, please let us know the reason for your concern and we will surely consider it.